Warmer days, lighter evenings, knitting going a treat alls well with the world. 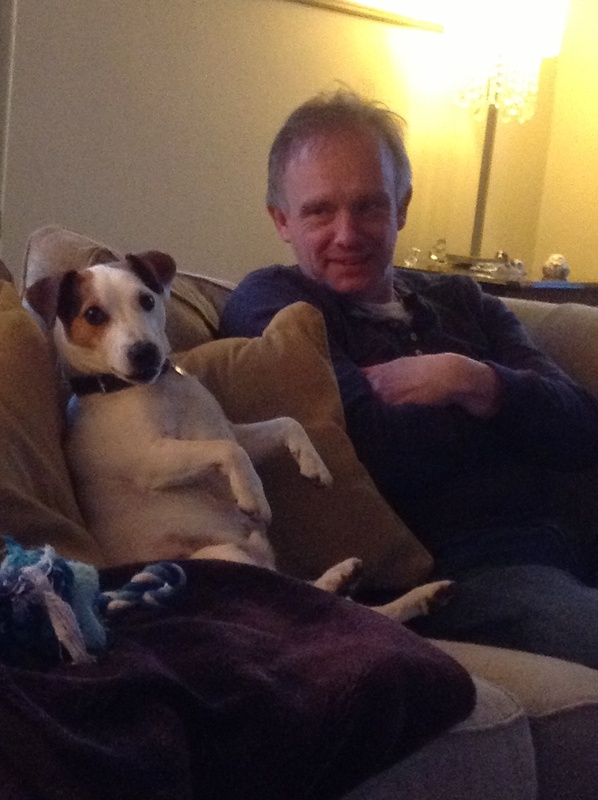 Husband and dog happy watching the TV together good job I have my knitting! No F1 this weekend and flying looks problematic too so housework and more lace knitting with my lovely rooster yarn.